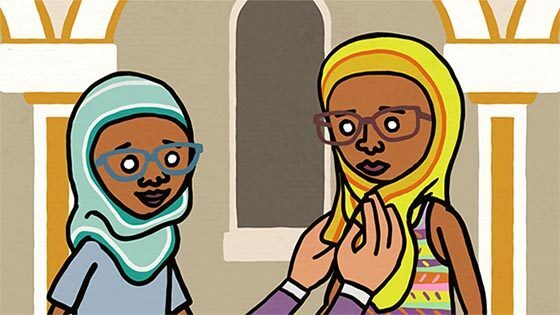 We’ve been working with broadcast journalists Sameena Misbahuddin and Nora Fakim from Children’s BBC Newsround and BBC Africa What’s New on a series of short films about what it’s like to grow up mixed race in Britain today. These are being shown on CBBC Newsround and online on the BBC Africa website. Fettle have created the animation which sits between camera interviews from young people filmed around the UK. These films feature young people from four families describing their experiences of being from more than one country – some of the positives and the prejudice they have faced. Young people share some of their highs and lows and become confident to get the best of all worlds from their mixed family backgrounds. This has been designed by Fettle’s director Zane Whittingham, with backgrounds by Laura Tattersfield, with animation by Ryan Jones, Ged Haney and Mal Hartley and produced by Kath Shackleton.